This outfit has a lot going on. 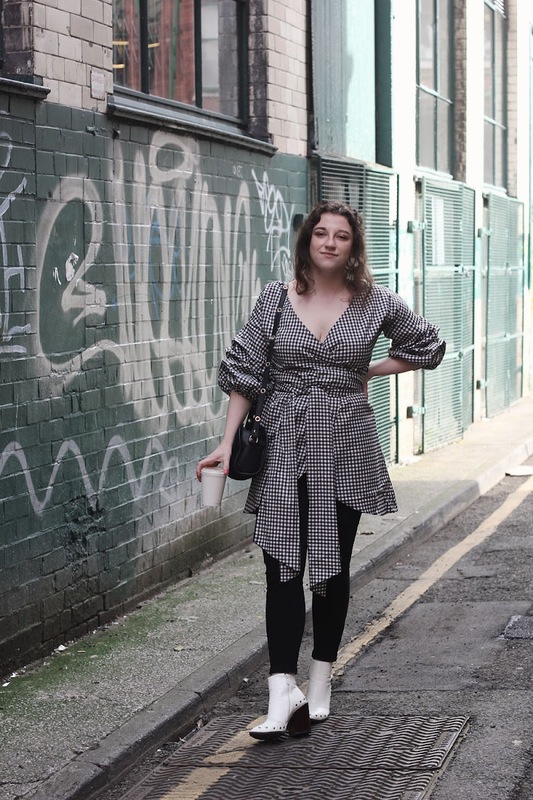 We're talking ruffles, a tie waist, studs, gingham, even a coffee cup from Foundation (although that's not really the fundamental part of the outfit, just a fundamental part of my day). 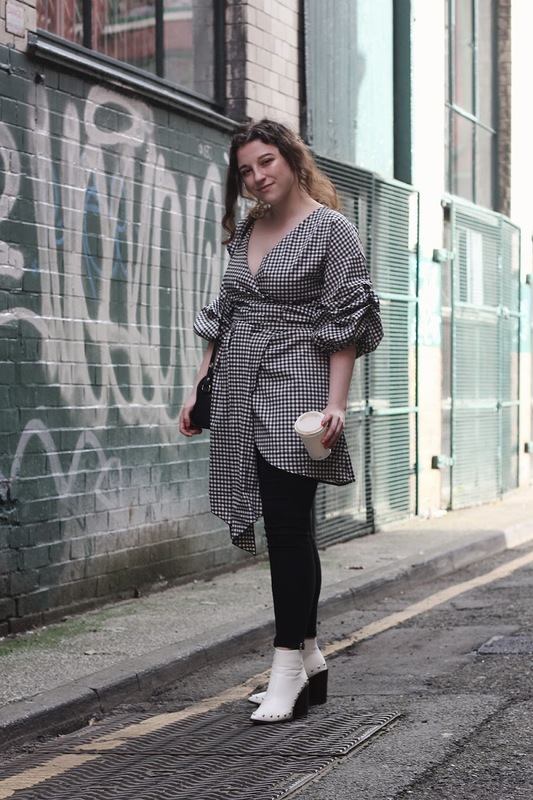 The guys at boohoo popped a surprise dress in the post, so when I unwrapped it and saw something I probably wouldn't purchase from an ecom shot, I thought this was the perfect opportunity to work out how to wear gingham wrap dresses my way. It's really bloody short (for reference, I'm 5'4" and there's no way I could wear this without something on my lower half, so tall ladies probs ought to steer clear), so unearthed an old pair of black skinnies when I went home to Essex to layer underneath as a decency saving exercise. 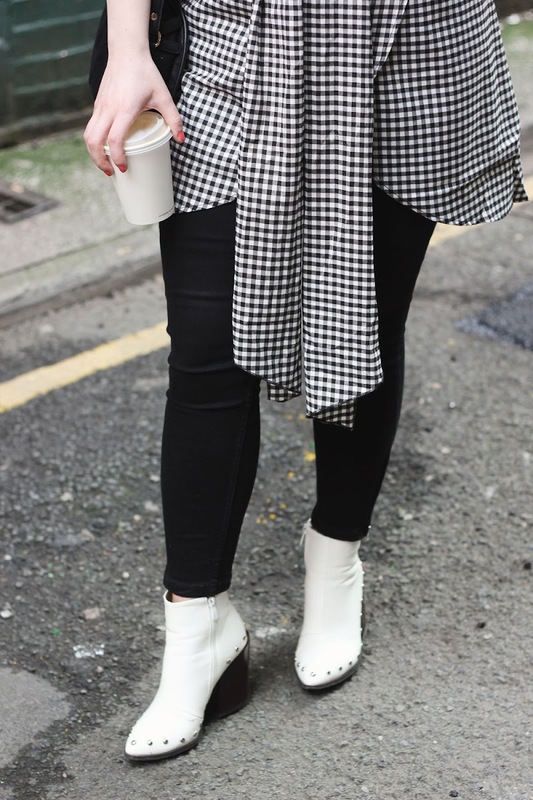 Add in my new current obsession (white boots, who knew? 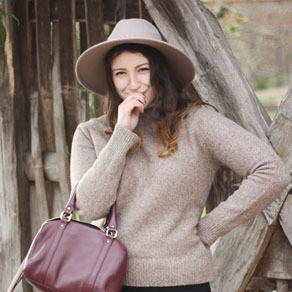 ), and you've got yourself an extra monochrome outfit. Other than the outfit, I've also got a lot going on IRL. And I'm not talking about how many episodes of Gossip Girl I've been binge watching in the last month, although it is quite impressive. I'm moving house and starting a new job on Monday. My stress levels are through the roof so apologies to anyone who's seen me in the last month, 'cause I've either been short-tempered or drunk (everyone has their own coping mechanisms, right?). They say those are two of the most stressful things you can do, so talking from experience I would definitely advise against doing both of them within four days of each other. But everything's starting to sort themselves out and, fingers crossed, things will all come up Cohen by the end of the year - we can hope! 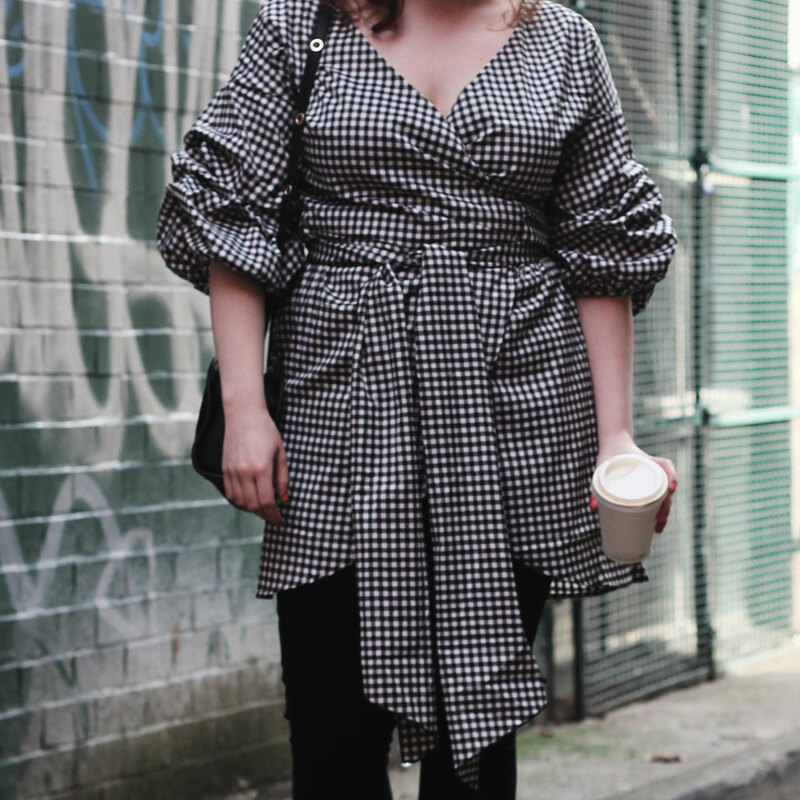 Gingham wrap dress: c/o Boohoo. Oasis cropped jeans. Public Desire studded boots (sold out, similar here). Urban Outfitters bag. Love the outfit, it looks great! Your outfit is the bomb! Love your blog. Lovely outfit, dear. Great post! Love your boots, dear. Nice post. I love your outfit. Great post.